Zemský trestní soud is the institution Švejk was driven to in a police car the morning after the arrest. Here he was interrogated by a good-natured judge who, when he read what Švejk had confessed to, qustioned his mental health. He concluded that Švejk had to undergo an investigation by a psychiatric commission, which resulted in him being sent to a lunatic asylum. Zemský trestní soud was located in Spálená ulice, at the corner of Karlovo náměstí. Today this building houses the City Court. The author was taken to court here in 1907 after he at an anarchist meeting on 1 May allegedly incited violence against the police. For this he was sentenced to a month in prison, his longest conviction ever. He was sentenced on 1 July and served the prison term from 16 August to 16 September 1907. [1.3] Čisté, útulné pokojíky zemského „co trestního soudu“ učinily na Švejka nejpříznivější dojem. Vybílené stěny, černě natřené mříže i tlustý pan Demartini, vrchní dozorce ve vyšetřovací vazbě s fialovými výložky i obrubou na erární čepici. fialová barva je předepsána nejen zde, nýbrž i při náboženských obřadech na Popeleční středu i Veliký pátek. Teissig was a place where the employees of Zemský trestní soud went to fetch peppers and Pilsner beer for lunch. Why they went to get peppers is a mystery. Translators Grete Reiner and Cecil Parrott both interpreted it as goulash, probably a bit far-fetched. Hans-Peter Laqueur has voiced the theory that the author by "paprika" meant "paprikash" which is the Hungarian goulash, a soup which is quite different from Czech "guláš". In that case Reiner and Parrott's translation is more accurate than "peppers". Teissig was a restaurant located across the street from the massive City Court complex (former Zemský trestní soud) and owned by Karel Teissig. He had been running the restaurant at least from 1895. Teissig had previously owned U kotvy two houses down the road, a restaurant that still exists (2016). Address books confirm that U Teissigů existed as late as 1940. Státní návladnictví was where the detainees were led after their stay at Zemský trestní soud. Here formal prosecution was in store. The institution had also been briefly mentioned in [I.1]. Státní návladnictví is a term that is rarely used in modern Czech, and is now mostly referred to as Státní zastupitelství, a wording that was used even during the life-time of the author (see cut from the 1910 address book). The expression refers to the state prosecutor's office. Their main seat was at Malostranské náměstí in the building of the regional high court, but they were also represented in the same building as Zemský trestní soud. It is surely those premises that the author had in mind. U Bansethů crops up in one of Švejk's stories. He was on his way back from this pub when he was assaulted by the bridge across Botič. The perpetrators got the wrong man and gave him an extra slap due to the disappointment. The tavern is mentioned again in [I.13] in the discussion about volcanic eruptions and sunspots. See Martinique. It also appears in the final chapter of the novel, and now the owner Banseth is mentioned directly. U Bansethů was the name of two restaurants in Nusle, owned by Alois Banseth. One of them is still operating and it advertises its connection to Svejk; the interior has numerous pictures of Jaroslav Hašek. There is even a Stůl Jaroslava Haška (Jaroslav Hašek's table). The original restaurant was located a few steps down the street in house No. 321. Banseth started operation in the autumn of 1900 and in March 1908 it was announced that it was sold to František Kocan, former landlord at U Kocanů. Around the same time he bought house No. 389 which still bears his name. The pub already existed under the name U Palackého and Banseth with his wife Anna paid 100,000 crowns for the house. Which of the two public houses the author had in mind is uncertain, but the address information given above relates to the one that still exists. Mr. Banseth was in 1910 listed as owner of the building that housed his pub. He also lived here. The original U Bansethů also arranged public meetings on its premises, for instance on 26 February 1906 where anarchists took part, amongst the Jaroslav Hašek was very likely to be found. 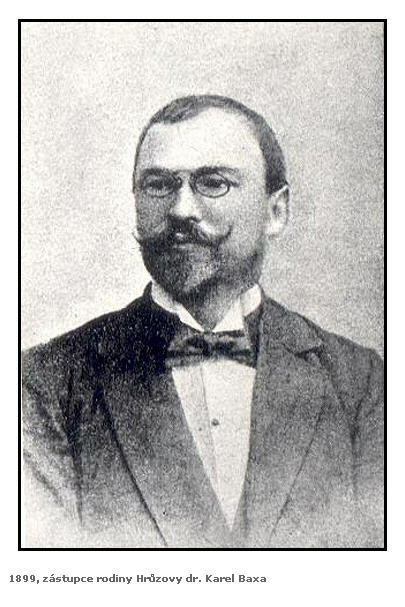 On this occasion the anarchist Čeněk Körber (1875-1951) caused such uproar that the meeting was abandoned. The pub was also hosted meetings by Česká strana národně sociální, Sokol, Volná myšlenka and Mladočeši. Particularly the first seemed to have met a lot here, and in Strana mírného pokroku v mezích zákona Jaroslav Hašek describes on of their meetings where he provoked and caused disorder. Po onom velkém morálním vítězství U Banzetů sešly se naše rozptýlené řady až nahoře na Havlíčkově třídě. Kulhal jsem, pod okem jsem měl modřinu a mé tváře, jak praví Goethe, nevěstily nic dobrého. Byly opuchlé! [1.13] „Ty skvrny na slunci mají vopravdu velkej význam,“ zamíchal se Švejk, „jednou se vobjevila taková skvrna a ještě ten samej den byl jsem bit ,U Banzetů’ v Nuslích. Podolský kostelík is mentioned in the series of stories about various mistakes that Švejk tells his fellow remand prisoners at Zemský trestní soud. A lathe operator (turner) who lived in Švejk's house locked himself into the chapel by mistake once he was drunk, and because he thought he was at home he slept overnight and the result was that the church had to be re-consecrated. The unfortunate intruder was convicted and died at Věznice Pankrác. Podolský kostelík is almost certainly the parish church kostel svatého Michala (Church of Saint Michael) in Podolí, south of Vyšehrad. Podolský kostel bude určitě kostel svatého Michala v ulici Pod Vyšehradem, je to farní kostel dodnes. Ostatní jsou jen hřbitovní kaple, nebo postavené později. [1.3] Nebo vám povím příklad, jak se zmejlil u nás v domě jeden soustružník. Votevřel si klíčem podolskej kostelík, poněvadž myslel, že je doma, zul se v sakristii, poněvadž myslel, že je to u nich ta kuchyně, a lehl si na voltář, poněvadž myslel, že je doma v posteli, a dal na sebe nějaký ty dečky se svatými nápisy a pod hlavu evangelium a ještě jiný svěcený knihy, aby měl vysoko pod hlavou. Česká radikální strana is is indirectly referred to in Švejk's story about the Czech radical deputy who by mistake is chased by Rotter's police dogs. Česká radikální strana was not the a name of any particular political party but it is quite obvious that Švejk had either Strana radikálně pokroková or Státoprávně radikální strana in mind. The former party existed from 1897 to 1908 and campaigned for extensive political reforms, whereas the latter was formed in 1899 and their main goal was extended state rights for the Czech lands. In 1908 he two parties merged and founded Česká strana státoprávně pokroková. From 1914 the party openly campaigned for an independent Czech state and suffered persecution as a result. It can not be ruled out that label "radical" stuck with even the new party and that indeed was them Švejk had in mind. [1.3] Nakonec se ukázalo, že ten člověk byl českej radikální poslanec, kterej si vyjel na vejlet do lánskejch lesů, když už ho parlament vomrzel. A selection of Czech deputies in Reichsrat in 1914 (Josef Švejk highlighted). Parlament is mentioned is Švejk's story about the Czech radical member of parliament who by mistake is chased by Rotter's police dogs. Parlament refers to Reichhsrat in Vienna. From 1867 until 1918 it was the national assembly of Cisleithanien, i.e. the Austrian part of the Dual Monarchy. The assembly consisted of a Herrenhaus (House of Lords) and a Abgeordneterhaus (House of Commons). The last election to the Abgerodneterhaus was held in June 1911, and that year the house counted 506 deputies, of which 232 were Germans, 108 Czechs and 83 Poles. The remaining seats were occupied by Ukrainians, Slovenes, Italians, Romanians, Croats, Serbs and a lone Zionist!. Several of the politicians mentioned in our novel were deputies at the outbreak of war: Masaryk, Kramář, Klofáč and a certain agrarian politician Josef Švejk. A former deputy of interest was Alexander Dworski, see Grabowski.